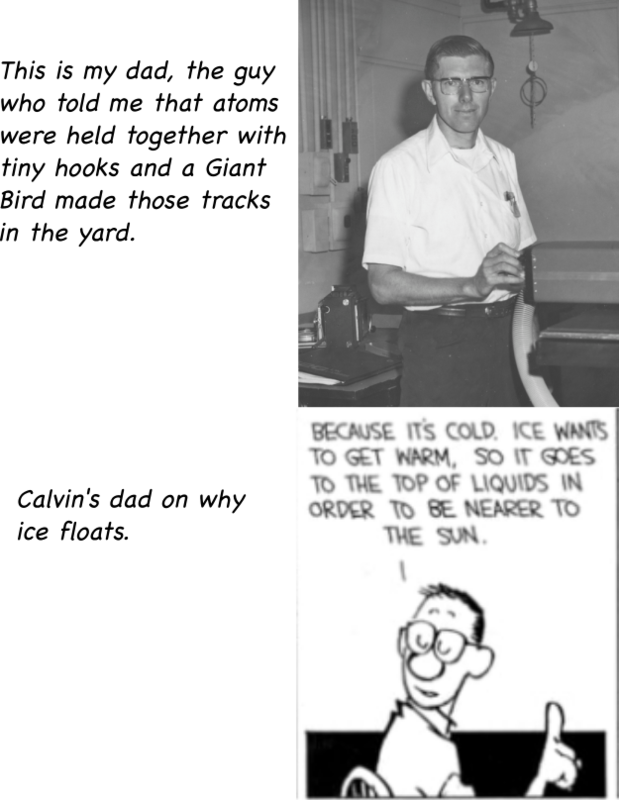 I was trying to explain today how my father looked and acted almost exactly like Calvin’s dad. I needed visual proof too. Wow. . . . Just . . . wow. There are a lot more stories about other odd things he said, but those are two of my favorites. Plus I think the resemblance is pretty strong. Also, he’s standing next to his laser in that photo.